It is an important step for most young adults: securing that first paying job out of school. People need to learn how far minimum wage will take them, what it’s like to have taxes taken out of a paycheck, and how to work cooperatively with people who might be very different from the casual social circle. 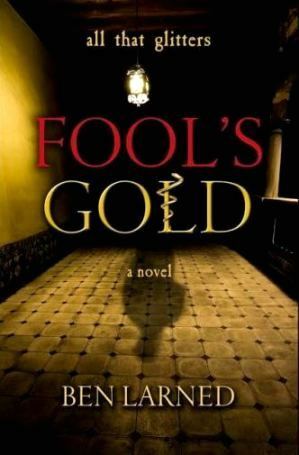 I’m grateful for those people who hired me, but at the same time I’m glad I didn’t get on board at the Pine Hills Country Club, the setting for Ben Larned’s debut novel Fool’s Gold. Sammy Carter’s life is approaching crisis-mode. He’s partied his way out of college; he can’t find regular employment; he’s living with his former high school girlfriend who’s ready to move on with her art career. Allen, his older brother, a wildly successful business executive, secures an interview for Sammy at Pine Hills Country Club. With no income and no other prospects, Sammy leaps at the opportunity to become a waiter and fill-in bartender at the exclusive establishment for the city’s wealthy movers-and-shakers. He doesn’t quite know what to make of Dolores Bright, club’s general manager. Although an older woman, she still exudes an attractive, even magnetic, personal aura. While she’s a harsh boss toward the other employees, even firing some of them for first-time infractions, Dolores is tolerant and even motherly towards Sammy. Sammy is thrilled to have a regular paycheck and be around the club’s A-list clientele. But then he begins to experience horrifying dreams in which he witnesses innocents murdered in bloody, gruesome fashion, dreams in which he is threatened to be next. His co-worker and new friend Zach hints to Sammy that mysterious events have been taking place at the country club for a long time. And anyone who looks too closely into what’s happening seems to experience fatal accidents. . . .
Larned’s skill at characterization comes through in his depiction of Sammy Carter. Sammy isn’t unintelligent or unattractive; however, he is definitely a bit unworldly and somewhat naïve. Other characters address him by the diminutive ‘Sammy’ – not the more mature-sounding ‘Sam’ or ‘Samuel.’ At the beginning of the book, Sammy is used to having others make his decisions for him. It was Janey, his current roommate and former lover, who made the first move back in high school. It was Josh, his fraternity brother, who steered Sammy toward college semesters of partying, drinking, doping, and bed-hopping. It was his brother Allen who found his new job. However, as events progress, Sammy gains more self-confidence and even works up the nerve to investigate the history of Pine Hills. The exclusive country club provides Larned with a supernatural conceit that allows him to explore the huge disparity between the haves and the have-nots. The club members include society’s upper echelon, but they’ve paid a huge price for their status. Sammy and his friends attempt to uncover the truth about the club and, in the process, gain some justice, but they find themselves hampered, often because of their lower socio-economic status. Unexplained noises, ghostly figures in infinite halls, and undead restaurant patrons will remain in readers’ minds long after the last page has been turned. If I were to quibble about any element of Larned’s first novel, I’d point out a pivotal diary that’s found just a bit too easily. (I realize that many of our favorite genre’s novels revolve around long-hidden diaries.) It’s a clue that spills most of the club’s secrets. A smart villain would have tossed it into the incinerator decades ago. 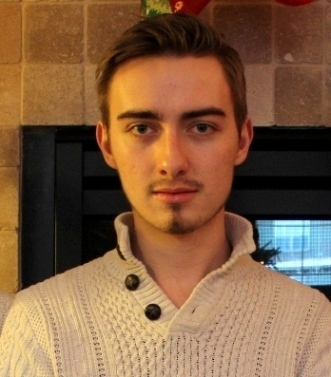 Ben Larned is an award-winning filmmaker and writer studying film at NYU. His short horror fiction has been published in several magazines, including Sanitarium and eHorror. 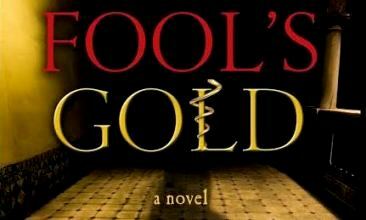 His first novel, a supernatural horror called Fool’s Gold, is available for purchase on Amazon. Ben is currently finishing his first feature film, a psychological horror called Chaos Theory, which is expected to premiere at festivals in October 2015. Scott Urban lives amid southeastern Ohio’s mist-shrouded forests and occasionally writes things down. 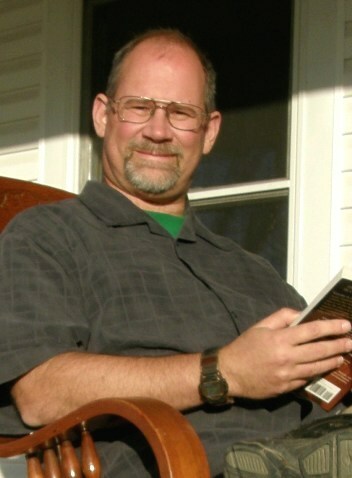 His work was most recently included in the Appalachian anthology Every River on Earth (Ohio University Press). His most recent collections areBloody Show: Dark Tales of Decay and Dissolution (Pallid Mask Publishing), available through the Kindle store at Amazon.com, and God’s Will (Mad Rush Books), available through the bookstore at Lulu.com. By day he works with troubled youth and by night he sleeps in an Amish farmhouse, which isn’t haunted—yet.